House Stark has held sway over the lands north of Moat Cailin since before the arrival of Aegon the Conquerer. Among the northmen, the name of House Stark commands great loyalty, even among the wild mountain clans and the crannogmen of the Neck. The allies of House Stark are not solely limited to the north, however. In recent times, House Stark has intermarried and forged a close alliance with the lords and ladies of House Tully—Catelyn Stark was born a Tully, and Riverrun, the ancestral home of House Tully, served as Robb Stark’s headquarters during much of his military campaign. 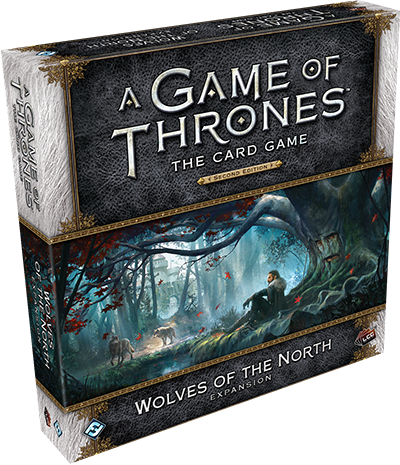 Now, with the Wolves of the North deluxe expansion for A Game of Thrones: The Card Game, you can bring the iconic characters of House Tully into your Stark decks with greater force than ever before. Today, we’ll take a closer look at what House Tully can offer you as you rush for victory to crown a King in the North! The House Tully cards included in Wolves of the North have plenty to add to your decks. In fact, we’ve already taken a look at two of the most powerful House Tully characters: Catelyn Stark (Wolves of the North, 2) and The Blackfish(Wolves of the North, 4). The Blackfish bears the renown keyword, and once he’s accumulated enough power, yourHouse Tully characters don’t kneel to attack, making your attacks almost impossible to block. Catelyn Stark, on the other hand, simply gains power when your Stark characters are killed or sacrificed—and every power gained makes her grow stronger. 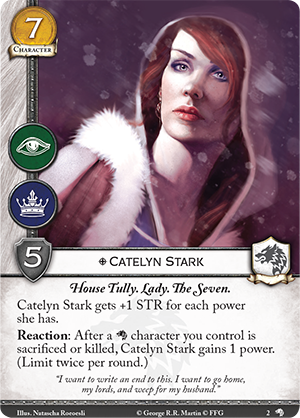 As you may be able to see from just these characters, House Stark places great importance on holding your power on individual characters rather than your faction card. 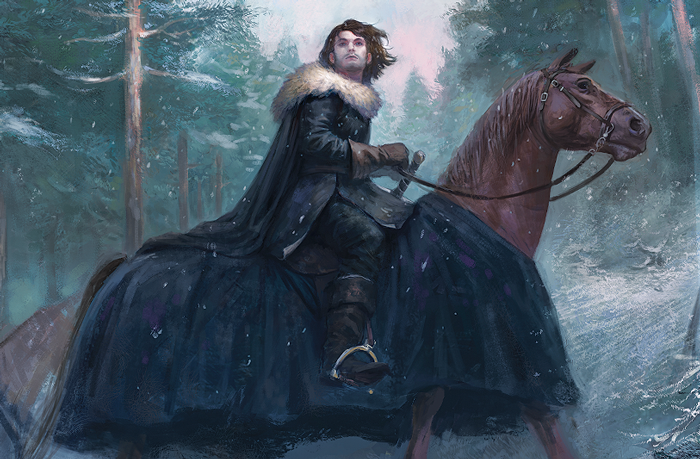 As you collect your power on your characters, few characters give you more power for your effort than the new version of Eddard Stark (Wolves of the North, 3). 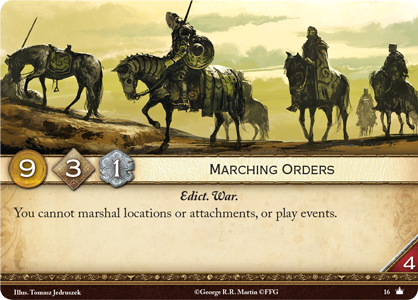 With six STR and two icons for six gold, Eddard Stark already has the raw stats to make him dangerous in combat. 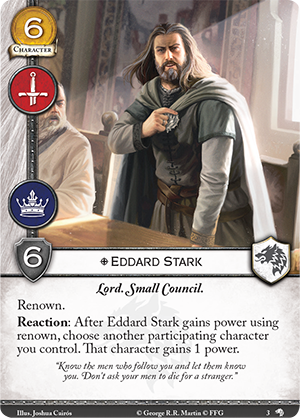 More important for seizing victory, however, Eddard Stark has renown, and whenever he gains power using renown, you can choose another of your participating characters to gain one power! 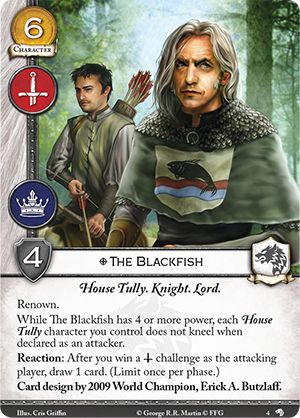 Not only does Eddard Stark accelerate your power gain, you can combine him with The Blackfish to quickly mobilize your House Tully forces or use Eddard alongside Catelyn Stark to increase her STR. To that same end, you may employ the services of a Riverrun Minstrel (Wolves of the North, 9). 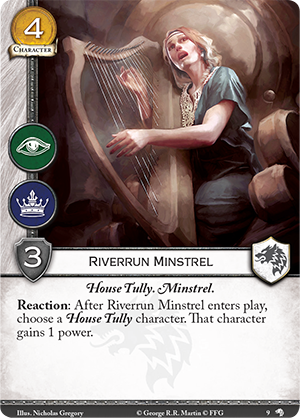 This non-unique House Tullycharacter offers a valuable intrigue icon to your forces, and you can choose a House Tully character to gain a power when the Riverrun Minstrel enters play! Obviously House Tully has a variety of ways to quickly amass power on your characters. If you want another character who can gather more power for your characters while still dominating the battlefield, look no further than King Robb's Host (Wolves of the North, 1). 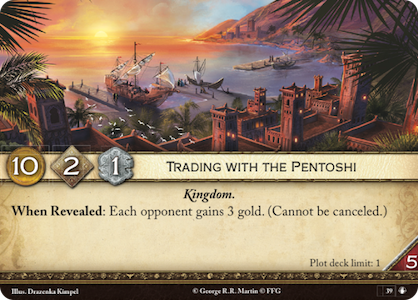 This massive character boasts eight STR, though its cost is equally hefty, almost necessitating that you play a plot likeMarching Orders (Core Set, 16) or Trading with the Pentoshi (The Road to Winterfell, 39) in order to pay for it. Still, once King Robb’s Host takes the field, they can be extremely dangerous. 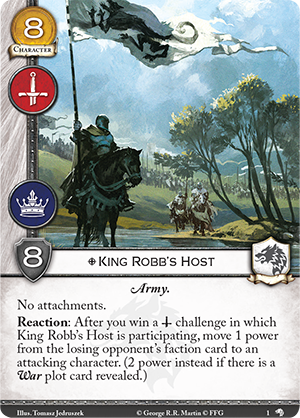 Rather than choosing between gaining power and killing your opponent’s characters, King Robb’s Host allows you to move a power from your opponent’s faction card to one of your attacking characters after you win a military challenge. Even better, if there’s a War plot revealed, you can move two power instead of one, giving your power a significant boost, even as you slaughter the enemies of House Stark! Gathering your power on characters offers both benefits and drawbacks. Claiming power through renown and other abilities can allow you to gain power much faster than simply by winning power challenges. 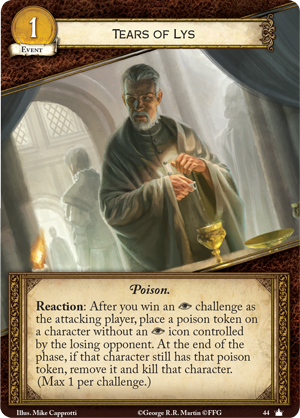 The downside, of course, is that your characters are inherently mortal—in A Game of Thrones: The Card Game, death is never more than a few steps away, even for the mightiest Lords and Ladies of Westeros. 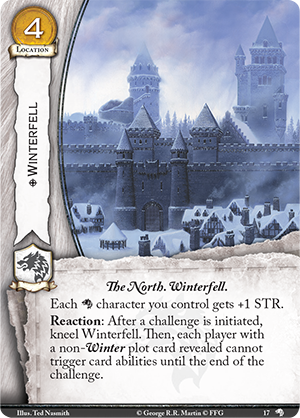 If you want to keep the power on your characters safe from your opponents, you might do well to play some of the protective cards included in Wolves of the North! We already saw the power of Winterfell (Wolves of the North, 17), the winter-bound stronghold of House Stark. 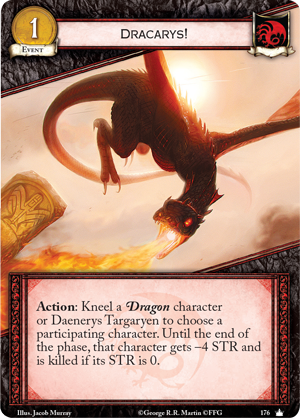 Not only does this location boost your Stark characters’ STR, you can kneel it during a challenge to prevent your opponents with non-Winter plot cards from triggering card abilities, meaning you’ll be safe from any southron intrigues like Tears of Lys (Core Set, 44) or Dracarys! (Core Set, 176). 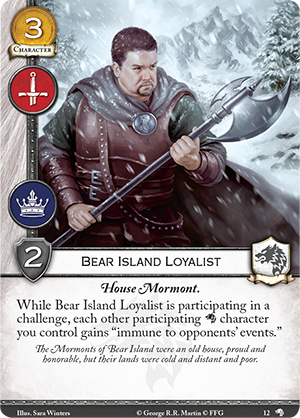 You can gain similar protection from the Bear Island Loyalist (Wolves of the North, 12). While this non-unique character is participating in a challenge, each of your other participating Stark characters gain “immune to opponent’s events,” ensuring that your plans go off without any unforeseen difficulties. You might also want to protect your characters from your opponent’s plots with the Winterfell Heart Tree (Wolves of the North, 18). 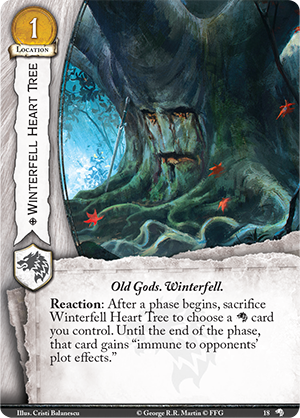 After a phase begins, you can sacrifice the Winterfell Heart Tree to choose any Stark card you control. Until the end of the phase, that card is immune to your opponent’s plot effects! 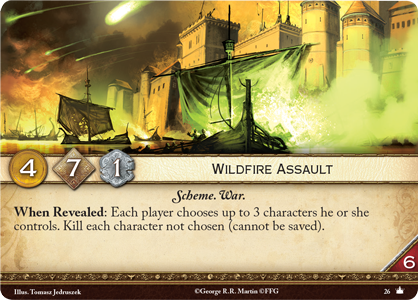 Obviously, the Winterfell Heart Tree is useful when you believe your opponent is going to play Wildfire Assault (Core Set, 26), since it allows you to keep four characters instead of three. However, the Winterfell Heart Tree can also enable a completely different approach to the game’s setup! 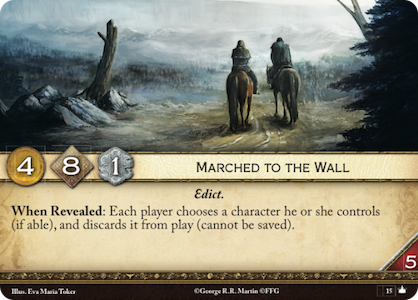 Due to the prevalence of Marched to the Wall (Core Set, 15) in many players’ decks, setting up a single character is often a mistake, even if that character is one of your strongest cards. The Winterfell Heart Tree opens up a completely new possibility, however. If you have the Winterfell Heart Tree in your hand, you can set up a large, seven-cost character like Catelyn Stark alongside the Winterfell Heart Tree without fear of Marched to the Wall. Though you can often play out more cards by setting up lower-cost characters and locations, starting with your most important characters in play just might be the crucial start your deck needs.